It was the year 1998. Quite an eventful year in the lives of many; Titanic swept away 11 awards at the 70th Academy Awards, US president Clinton gets into controversy, veteran politician AB Vajpayee sworn in as PM of India, Indo-Pak tensions rose gradually setting context for the Kargil war which happened the next year. 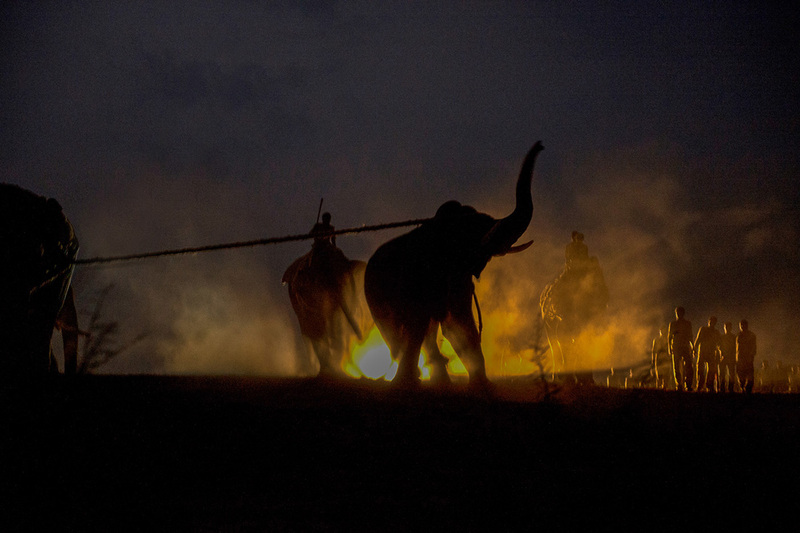 While all of these events took place, it was an equally—or perhaps more—dramatic and momentous year at the Theppakadu elephant camp in the Nilgiris. A proclaimed rogue, believed to have taken the lives of 23 human beings, was captured after months of outcries and hardships and protests. An animal of a medium stature, the makhna (tuskless bull elephant) was a dreaded beast to most, who lived and cultivated in the villages bordering Kerala and Tamil Nadu, close to the small town of Gudalur. The villages in the locality woke up to the news of an incident, where a child was trampled to death by an elephant, presumably the same guy. This in turn led to huge protests finally leading to his capture. Although there were proposals to bring him down—thanks to confident interventions of Dr. V Krishnamurthy, forest veterinarian—the officials finally nodded heads to capture him alive and bring him to the camp. After days of waiting and tracking, tensions and miscommunications, he was darted and captured on 21 July 1998.
under the name of Romapada. Capture of wild elephants, as a conflict mitigation strategy has been prevalent since the days of yore. Matangalila, one of the oldest treatises on elephant behaviour and management begins describing King Romapada of Anga (present day Orissa/Eastern India) listening to the grievances of the countrymen, one evening, who were mourning over their crop losses caused by elephants. The king after further contemplation sent his soldiers to capture elephants that were causing trouble to the peasants of the state, who then brought these elephants to the royal stables. In the contemporary context, the Project Elephant (PE), initiated in 1992, overseen by the Ministry of Environment, Forests and Climate Change (MoEF & CC) plays the role of the head of state—king Anga. PE, among its various objectives that were formulated in 1992 under the chairmanship of the then director, has resolution of human–elephant conflict as one of its major goals. 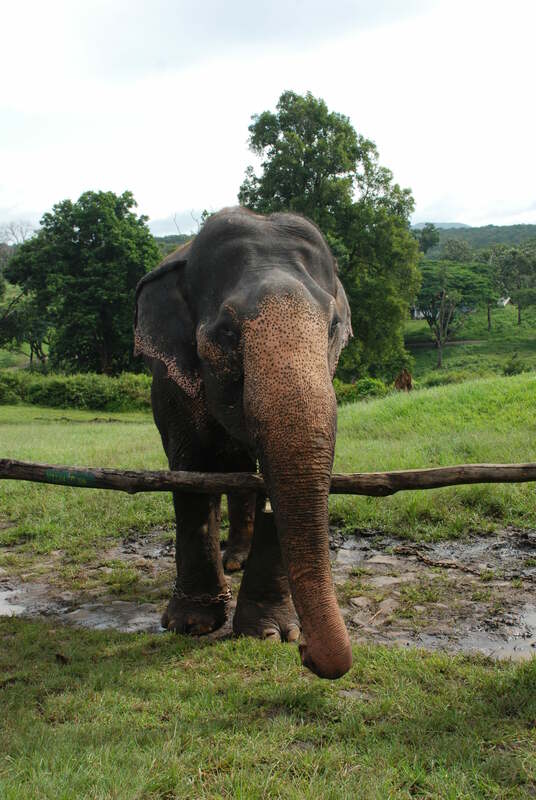 With growing demands on land resources, necessitated by an increasing human population, pressure on wildlife habitats have been increasing leading to a current scenario where 80% of wild Asian elephants in India roam outside the conventional fortresses of conservation—Wildlife Sanctuaries and National Parks—thereby exacerbating the human–wildlife interface. 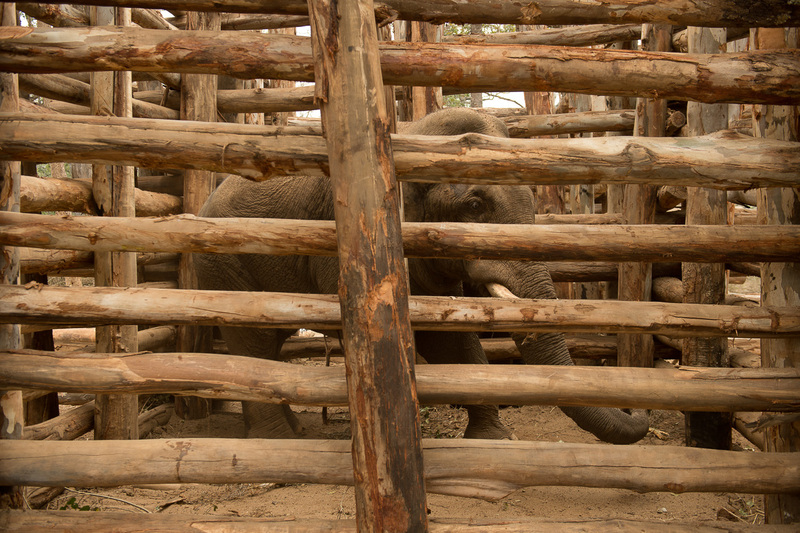 Not very different from the days of Romapada, the decisions today dealing with human–wildlife interactions also involve removal of elephants from the problem landscape either to be translocated to a different landscape or to be retained in permanent captivity. There is mystery behind that masked gray visage, and ancient life force, delicate and mighty, awesome and enchanted, commanding the silence ordinarily reserved for mountain peaks, great fires, and the sea. Moorthy as he was named later after the legendary vet, Dr. V Krishnamurthy aka Dr. K stood silent in the kraal—contrary to the widespread infamous descriptions of him—as an 8-year-old boy walked close to the structure and glanced at him. His lowered head and drooping eyelids—as if still contrived by the drugs that acted upon him a few days ago—made him look spiritless. Clasping onto his father’s hands tightly, the 8-year-old looked in between the wooden bars of the kraal, bewildered, watching a 9-foot animal—wild till a few days ago—listening to the commands of a barely five-and-half foot slenderly man holding an equally lanky Diospyros stick. His impressions about a newly caught wild elephant till then, heard from descriptions the elderly men in the family gave, were that of fearsomeness of a wild 5-ton animal, exemplified by the behavioural displays and its efforts to break free. He was always apprehensive to think of the initial days in captivity of all the bulls he grew up watching. The journey over close to two decades—ontogenesis, as the textbooks that I learnt would call it—took me through various learning phases, exposed me to several lives comparable to that of Moorthy, and made me realize bitter truths behind and a fairly comprehensive understanding of the complexities involved in human–animal relations in both wild, and in captivity. I stood, holding onto the bar of a kraal, pensive, of Lava’s timid nature; his motionlessness and inactiveness—except when food is offered—reminded me of Moorthy in 1998. Déjà vu; I was already immersed in thoughts, and went back to being the 8-year-old lad, watching Moorthy at Theppakadu. Suddenly I felt a hand on my shoulder; Vinod, my colleague, with raised eyebrows—his looks questioning my raptness—suggested we leave. I realized; the surroundings were not that of Theppakadu; they were different. More Terminalia trees, more elephants, and the voices overheard amidst the wind, and the cicada noises, mumbled Kannada, and not Tamil. It wasn’t 1998, but 2015. And it wasn’t Moorthy I was gazing at; but another unfortunate bull, christened Lava, after the legendary king Rama’s son, captured as part of a conflict mitigation strategy. Sharing the larger kraal complex with him was yet another older bull who was caught along with him, from the same area; his partner in crime, as per the department officials and the locals. That evening, back at the field station, Vinod and I were contemplating the lives of these elephants—many of them in their prime—caught in the name of conflict mitigation often overlooking their sociality, physical, physiological and psychological conditions. The discussion that evening at the field station was germane, not just because of the visit to the elephant camp earlier that day, but also because, Alur Taluk where the field station is situated, is a name etched in bold letters in the conflict map of India, mostly because of the way it is perceived than the actual conflict. The land has elephant tales to tell, going back decades. Later that evening after visiting Moorthy, I remember, my father was talking about him, tales of him the winds of Gudalur carried with it, the tales that portrayed him into the dreaded beast that he perhaps never was, one more like a 1980s crime thriller. Moorthy, today, is one of the most well-behaved elephants of the Tamil Nadu Forest Department; indeed the efforts of the Kuruba mahout folks need to be appreciated. But beyond that, there is something that always overshadows my thoughts on these; the fact that the 5-ton animal is adapting to live with humans, the behavioural modifications it undergoes and perhaps suppression of its inherent behaviour. Moorthy, according to my father had more stories to tell; quoting Peter Matthiessen again, there indeed was mystery behind that dark gray visage. And at some point, he wanted me to find answers for his unanswered questions. Years later, I find myself, in the shoes of an elephant biologist following elephants, wherever they go, be it day or night, trying to find answers for the unresolved ones; the ones I promised my father I would find for him. Thanks very much for writing it and sharing it with us.